As a homeowner or business owner, you have an obligation to keep your property as comfortable as possible at all times. 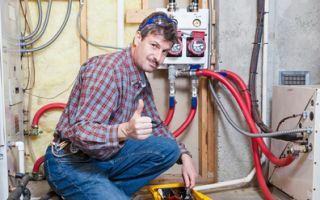 If your air conditioner or heater breaks down, you and your family are deprived of the comfort that you expect and deserve in your home and your business cannot be as productive and profitable as possible. At Precision HVAC, our Ulster County heating and air conditioning contractors are here to help you with this immense responsibility. We have the knowledge, skill, and experience necessary to maintain, repair, and install your air conditioner, boiler, heat pump, or furnace. With our help, your HVAC system will always provide for your comfort needs in the most efficient and effective manner. In every service that we provide, our team works its hardest to achieve all of our customer's goals. We will bring this dedication to excellence to task for you. Call Precision HVAC today if you need to hire a professionally licensed heating and air conditioning contractor in Ulster County. Our polite and dedicated staff is ready and eager to assist you in any way that we can. Our team is always on call to provide for you emergency heating and air conditioning repair needs. We can schedule your service call today. Our Ulster County heating contractors have he skill, training, and ability to handle the most difficult projects including full heating system design and installation services. Whether you are constructing a new property or you need to replace your old furnace, boiler, or heat pump, our team is the best group of professionals for the job. We can personally inspect your property and inquire as to your unique comfort goals. Our experts can provide you advice about your prospective system concerning performance capabilities and efficiency ratings. With our guidance, you can feel confident knowing that you are making the best possible choice. If you need to hire a professionally licensed heating and air conditioning contractor in Ulster County, call Precision HVAC today at 845-399-0669, or fill out our online request form.